Adventre Girl Nepal Pvt Ltd offers a perfect trekking on the remote area . 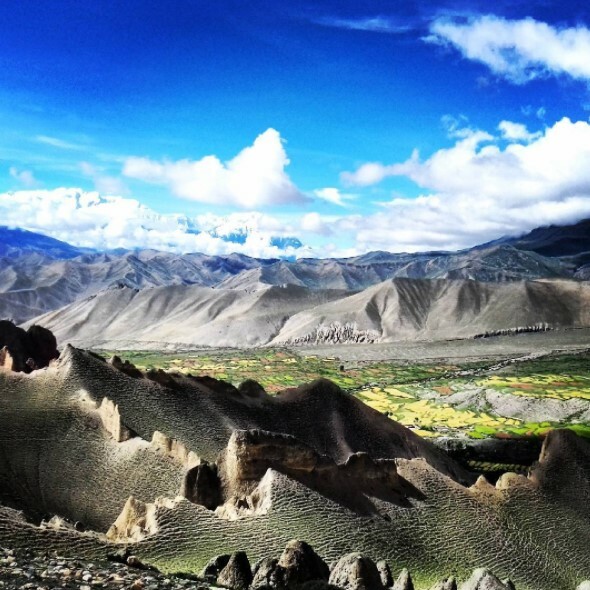 Upper mustang Trek offers Nepal's very remote, mysterious and least known unofficial kingdom. Landscape of Mustang is barren moonscape of eroded moraines and sandstone pillar. It is one of the moderate trekking which leads heart of the Mustang Lo-Manthang. To visit Mustang, trekkers walk through almost treeless landscape. The Upper Mustang trek has been on isolation for thousand years and this has kept the heritage, culture and lifestyle to remain unchanged for centuries up to date. The houses found there are mostly made from sun baked mud bricks and stones. Some of the beautiful architectures found in Mustang region are city wall and the four storey palace in Lo-Mangthang. On this trek, you will spend 2 nights in Lo - Manthang; the day of arrival in Lo - Manthang you will visit the palace and the second day you will go for hiking to Chosar Cave, an impressive castle. As an alternative option you can also do a horse riding for day tour. Day 07: Trek from Charang to Lo-Manthang (3,840 m).~ 5-6 hours walk. Day 08: Excurrsion in Lo-Manthang.